I’m trying to not outright spoil one of Marvel Comics stories, even if they are willing to, because I’m not that guy. So, here’s the vague details: Writer Neil Gaiman will once again be doing some work for Marvel Comics this year, and he is bringing with him a character that he created for a different company twenty years ago. That’s about as much I can say without getting into details, so beware spoilers ahead. Marvel has released the first image of the character who will be taking over for Peter Parker after his “death” in Ultimate Spider-Man #160. The image shows a decidedly different costume for Spider-Man, and it looks like Marvel is putting their money where their mouth is when it comes to the “Death of Spider-Man” event currently running in Ultimate Comics Spider-Man and Ultimate Comics Avengers vs New Ultimates. See the new image here below. Joe Quesada, Chief Creative Officer of Marvel Entertainment, announced today on Marvel’s website that Vice President, Executive Editor Axel Alonso has been promoted to Editor-in-Chief of Marvel Entertainment. 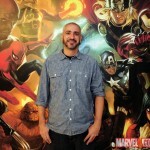 In his new role at Marvel, Alonso will oversee all day to day aspects of Marvel’s publishing division, including advising on the editorial creative direction, developing new storylines, and brainstorming new initiatives. 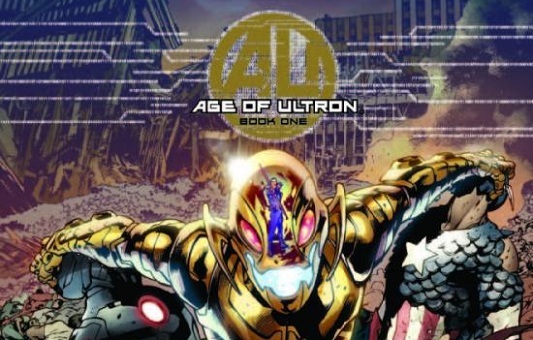 He will also be working on bigger corporate initiatives featuring Marvel’s stable of characters. Alonso came to Marvel in 2000 as a Senior Editor and was responsible for runs on Amazing Spider-Man and X-Men as well as helping to create X-Statix and Rawhide Kid. Alonso was also responsible for a recent partnership between Marvel and ESPN: The Magazine for an NBA preview issue.